You will spend your selected tour for 8 hours, riding in a private, air-conditioned, new Mercedes mini van. What makes this tour unique is your 100% guaranteed COMFORT - it is a private tour (minimum of 2) because the vehicle is reserved ONLY for your family or group. Usually, most of the tours on Oahu are open for 25ppl and up, big commercial buses, the drivers stop in multiple locations to pick up and drop off all passengers. We won't lose your vacation time in driving around town or have you wait on line in overpopulated, beaten path stops, filled with tour buses and crowds. We offer you a PRIVATE experience. 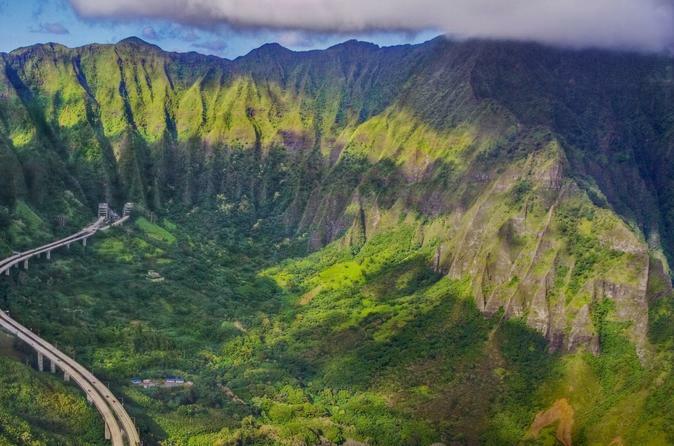 Anywhere we stop we can spend as much time as you would like to: your schedule is your own, and you will get to spend a relaxed, comfortable day around the island of Oahu and see the incredible tropical nature, wild beaches, ancient culture and Hawaiian history. Depending on your preference, we will offer you the best route and spend as much time as you would like to. Our new air-conditioned Mercedes Mini Vans will keep you comfortable and safe throughout the entire day. We own our vehicles as opposed to many other tour operators who rent their transportation from rental companies and operate illegal. Our drivers have clean driving records and normally speak more than one language. They are knowledgeable and will offer you an educational conversation about Hawaii and all that surrounds your day trip on Oahu. If you chose to visit a state park or a museum, small entrance fees may apply ( $3-$25 ) which are not included in your total price. Several lunch stops available to chose from. The lunch is not included in the price of the tour. You can expect to spend anywhere from $9 - $20 depending on the stop you chose. Ask your guide for details and suggestions at the beginning of the day.